Event Master Pro comes complete with an Inquiry Form, Booking Form, and Feedback Form for your customers to glide through the sales funnel from start to finish. 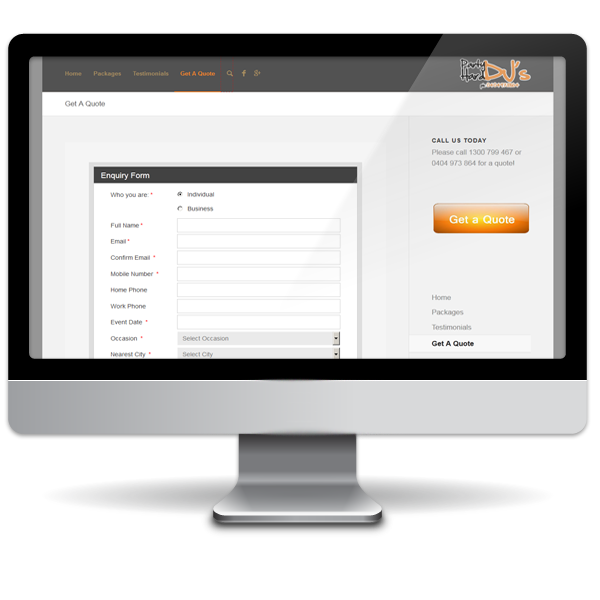 The enquiry form can be fully customized and then embedded onto your website, ready to take new leads and go onto your call list. The Inquiry Form asks all of the most common questions including some extra information for market analysis. Nearly all fields on the enquiry form can be turned on or off, or set to required or not and then you are provided with a simple embed code to insert this enquiry form into your site. The integration with our application is as simple as that, the rest is done in the application settings. The Booking Form carries on where the inquiry form took off, with customers never having to enter information twice. All information is remembered from the enquiry form, and the customer merely has to update their booking details and click submit. 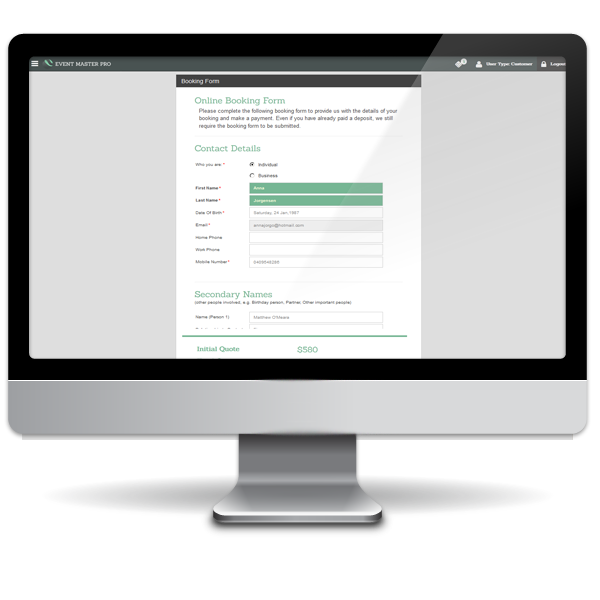 Once the customer makes a booking their online account is created for them to log in and complete the booking form or print an invoice. The customer can choose their preferred payment method which is optional and includes Credit Card, PayPal, Cash, Cheque or Bank Transfer. Each of these can be turned on or off in the admin area. Finally an important step that is often overlooked is collecting the Feedback Form from the customer. The data is then collated and use to provide you with important reports to keep you informed about the quality of your product or service. Happy customers are directed to a third party website of your choice for a public testimonial including such websites as Google Reviews.